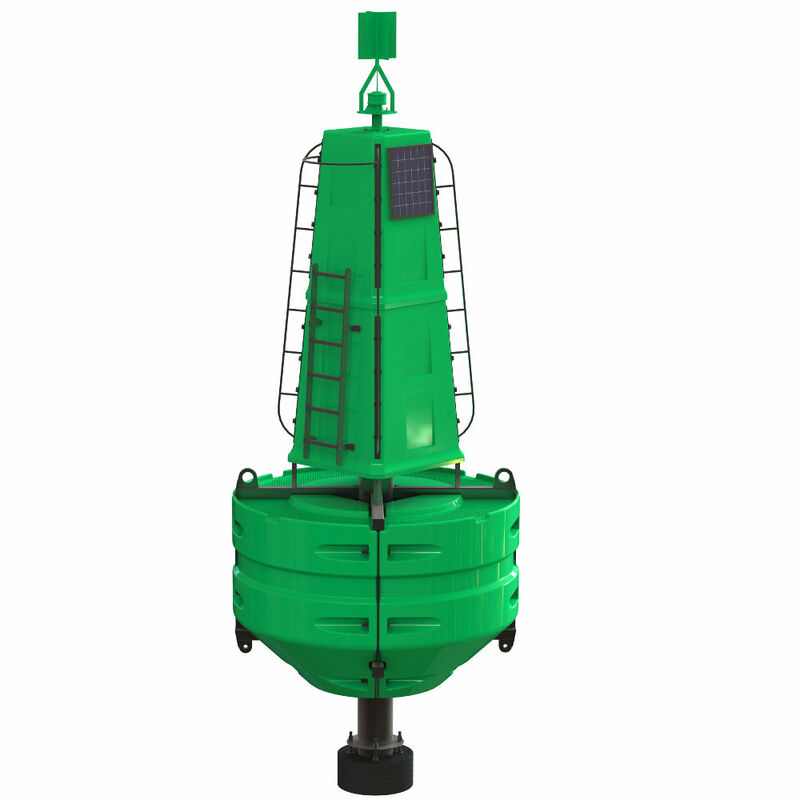 The TDL 2.6 Polyethylene buoy is a modern low maintenance visual aid with a highly conspicuous superstructure providing a 4.5 meter focal plane. 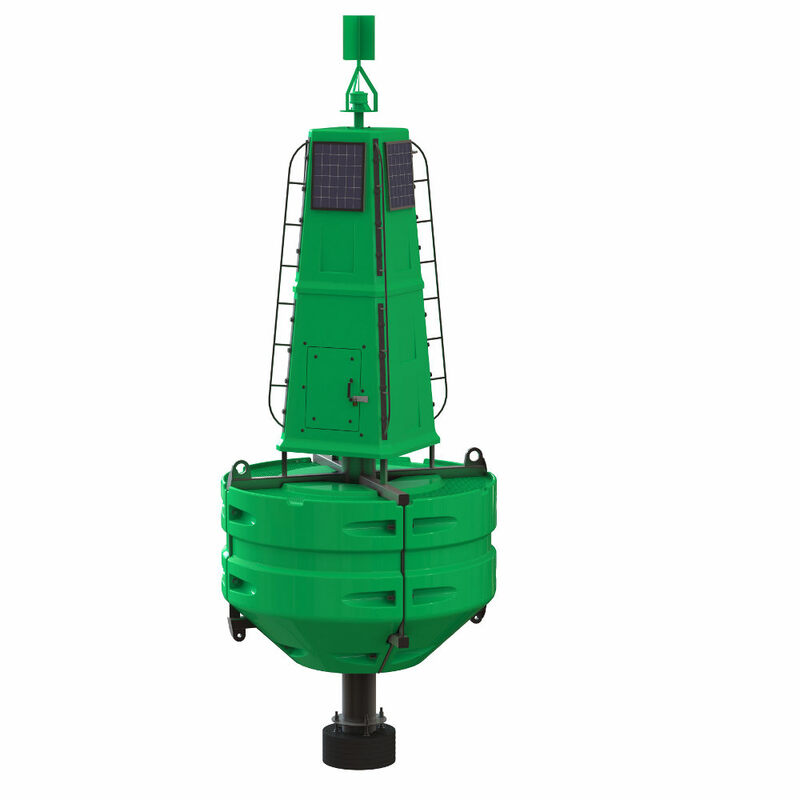 The combination of mooring bridle and adjustable counter weight provides superior performance in current up to 6 knots across a range of water depths. 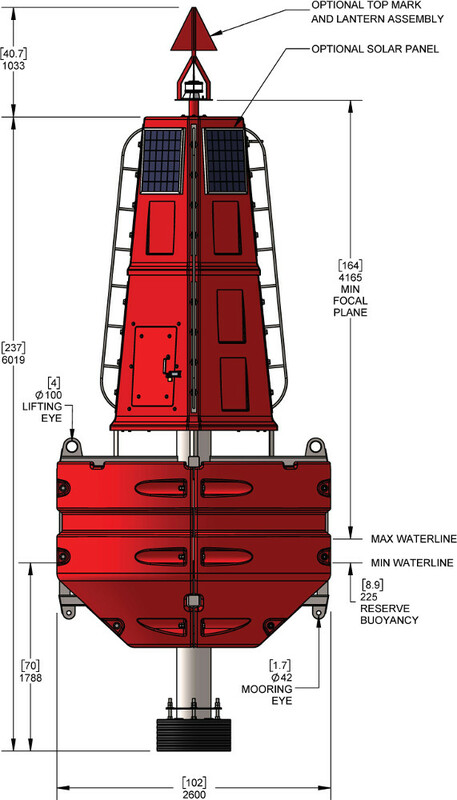 The conical shaped hull provides enhanced performance in wave swell at exposed deployment locations. 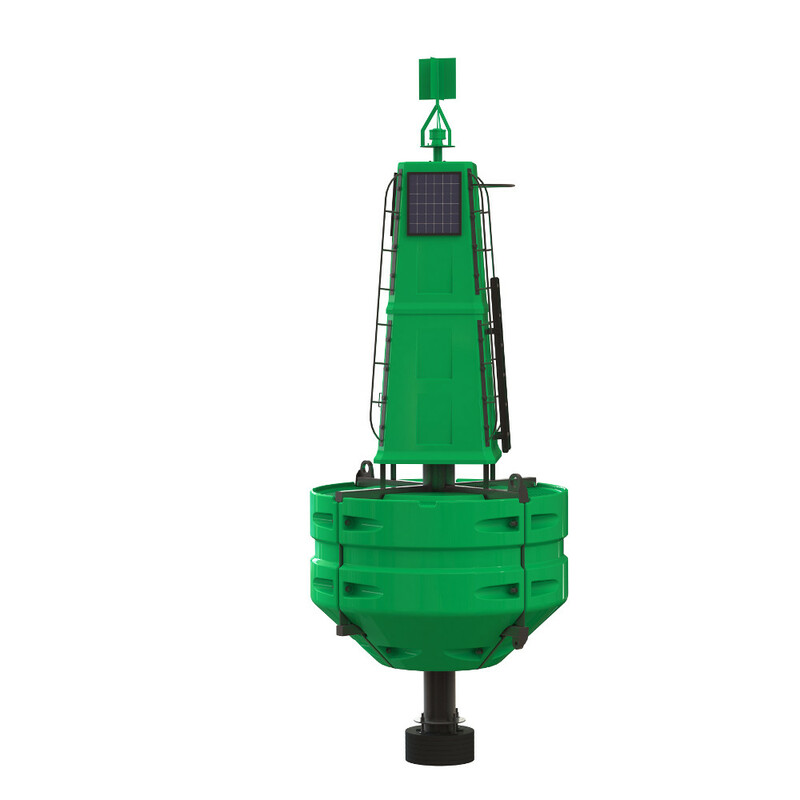 The TDL 2.6 PE complies with all applicable IALA recommendations and guidelines.